Our evidence-based analysis on creatine features 36 unique references to scientific papers. The energy drink market is huge. In 2016, it was valued at $43 billion globally and $12 billion just in the United States, where it is expected to nearly double by 2025. Between 2007 and 2017, population surveys reported that 58% of young Canadians, 53% of US military personnel, 51% of US college students, and 35% of New Zealand adolescents consumed energy drinks. In other words, a good chunk of the young population. So what makes energy drinks so popular among the young? The simple desire for an energy boost is a major factor, of course: energy drinks have become the coffee of a new generation, thanks to successful marketing campaigns and the resultant peer pressure. Other factors include availability, cost, and taste. Negative health effects seem a common experience but a small deterrent. A growing number of young people consume energy drinks. 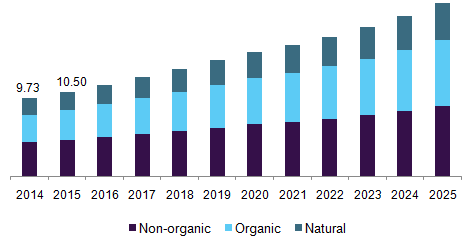 Among them, some have concerns about the potential harmful effects of regular use, but other factors (marketing, availability, cost, taste, and the desire for an energy boost) weigh more in their purchase decisions. No two products are exactly the same, but common ingredients include caffeine, taurine, B vitamins (B3, B6, B12, inositol), herbs (e.g., ginseng, guarana), and of course some sugar or artificial sweetener. While we could review each ingredient to evaluate its safety, that approach would cause us to miss the forest for the trees: ingredients consumed together usually interact. For example, a double-blind, randomized crossover trial found that an energy drink could boost cognitive performance even though separately consuming its ingredients (caffeine, glucose, ginseng, and ginkgo biloba) did not. Another study found that taurine opposed some of caffeine’s effects, so that taking both ingredients together resulted in less vigor and more headaches than consuming caffeine alone. That said, two compounds do deserve special attention. Caffeine is the main stimulant in energy drinks. 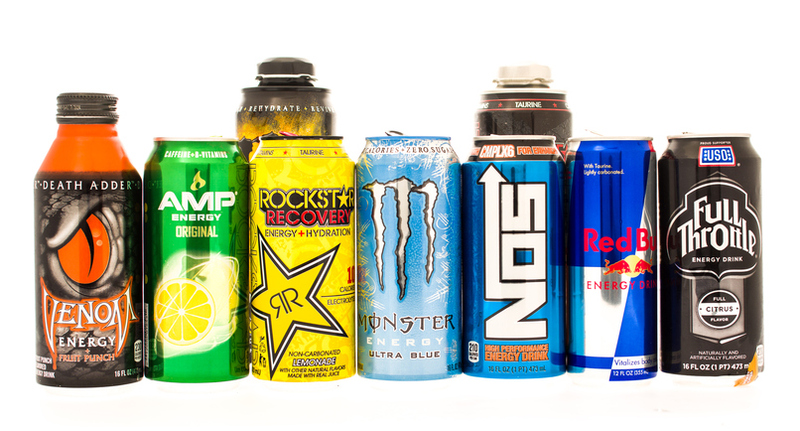 Most popular energy drinks contain some 150 mg of caffeine per 16 fl. oz., not counting the caffeine content of other ingredients, such as guarana or kola nut. In other words, the caffeine content of an energy drink is about 470% that of a can of Coke (32 mg in 12 fl. oz.) and 160% that of a cup of coffee (95 mg in 8 fl. oz). A caffeine intake of less than 400 mg/day is considered safe, but the actual safety threshold depends on individual factors such as genetics, health status, and circadian rhythms. Take CYP1A2, notably. This cytochrome P450 enzyme is responsible for clearing caffeine and many other drugs from the body. Both genetics and lifestyle factors (smoking, dietary habits, contraceptive use …) influence its activity and can therefore alter caffeine metabolism. Similarly, genetic variability in adenosine receptors (caffeine’s molecular targets) can affect sleep and predispose someone to caffeine-induced anxiety. In themselves, carbohydrates do not cause obesity or related health problems. That said, the consumption of sugary drinks often leads to an increase in caloric intake; sugary drinks can thus contribute to obesity and related health problems, such as diabetes, metabolic syndrome, and fatty liver disease, especially in a society that favors sitting over moving. 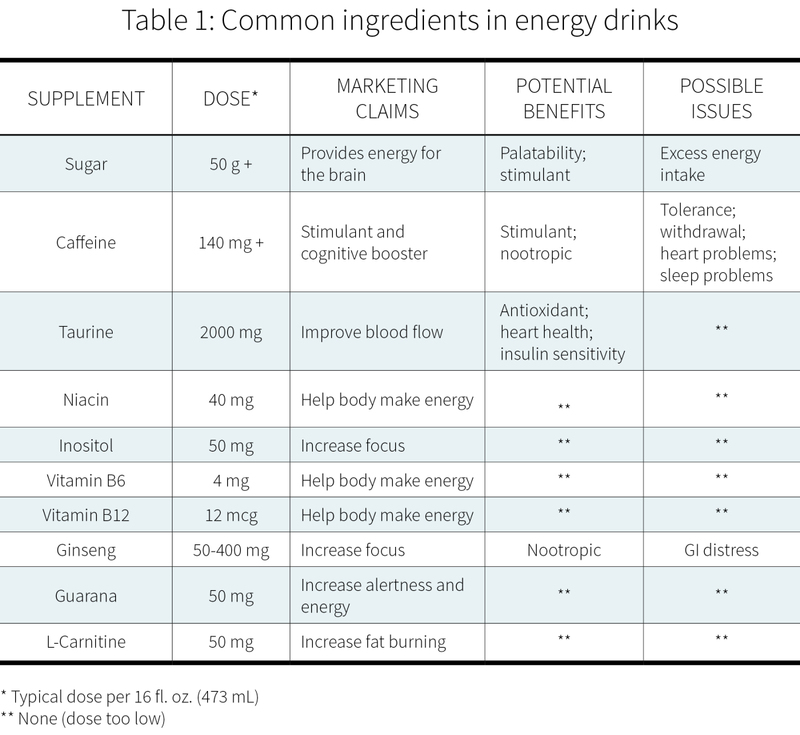 Different energy drinks contain different dosages of different ingredients, all of which have the potential to interact. For that reason, it is prudent to evaluate the safety of each energy drink as a whole rather than only on the basis of its individual ingredients. 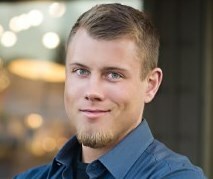 Still, it should be noted that added sugars might be uniquely harmful in the modern environment and that the metabolism of caffeine, the primary stimulant in energy drinks, exhibits high levels of interindividual variability. Do energy drinks cause harm? Between October 1, 2010, and September 30, 2011, the US National Poison Data System (NPDS) received 2.3 million calls. Of the 4,854 (0.2%) calls related to energy drinks, nearly two-thirds were linked to contamination by unknown additives. The major adverse events not linked to unknown additives included seizures and cardiovascular problems such as dysrhythmia (abnormal heart rhythm) and tachypnea (abnormally rapid breathing). The events reported were most severe when the energy drinks had been consumed with alcohol. The cardiovascular effects of energy drinks deserve special attention. Caffeine primarily affects the blood vessels, whereas the other ingredients primarily affect the heart. Overall, energy drinks are believed to cause short-term adverse changes characterized by an increase in the heart’s workload and a reduction in blood flow to the brain. These effects are caused by caffeine and its interactions with sugar, and to a lesser extent by auxiliary substances, such as taurine. Some case reports associate energy drinks and atrial fibrillation; they mention higher doses than were used in the studies that found no significant association between energy drinks and atrial fibrillation. 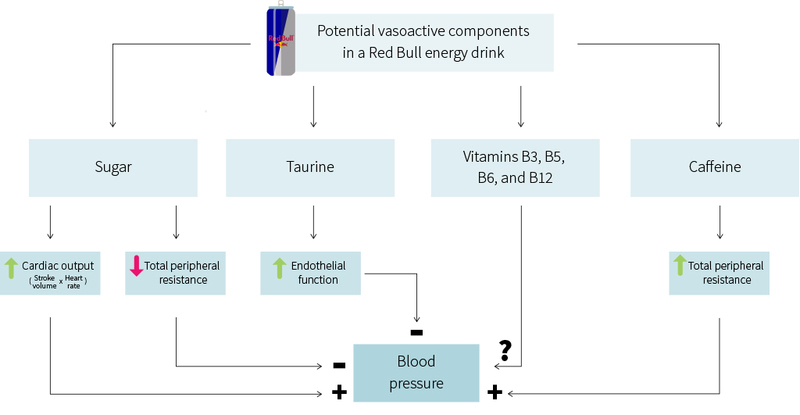 Other cardiovascular changes associated with energy drinks include ST elevation, cardiomyopathy, cardiac arrest, coronary vasospasm, acute coronary thrombosis, and aortic aneurysm dissection. Energy drinks have been linked to acute poisoning, mainly because of contaminants in the drinks. However, uncontaminated energy drinks have also been linked to poisoning through adverse effects on the cardiovascular system. Women who plan to get pregnant should avoid taking too much caffeine: women who consume more than 400 mg/day are 11% more likely to abort spontaneously than women who consume less than 50 mg/day. And it doesn’t stop there. When consumed during pregnancy, caffeine can interfere with the brain development of the fetus and thus cause lasting cognitive impairment. It doesn’t help that being pregnant alters caffeine metabolism in a way that increases caffeine’s half-life and, consequently, increases fetal exposure. And it doesn’t stop there, either. Children and adolescents may be another at-risk population: due to their small size, they have a lower safety threshold for many of the ingredients in energy drinks. That NPDS study referenced earlier showed that half of the non-alcoholic energy drink incidents were in children younger than 6 years, and an additional 10.5% in children aged 6–12 years. It has been recommended that kids limit their daily caffeine intake to less than 2.5 mg per kilogram of body weight (1.13 mg/lb) — for the average 10-year-old, that means less than 80 mg, so about 8 fl. oz. (237 mL) of most energy drinks. Several randomized controlled trials in adults have shown energy drinks to benefit mental performance. The fatigue-fighting effects of caffeine could also be considered a benefit under the right circumstances. Moreover, a meta-analysis found that energy drink consumption improved muscle strength and endurance, performance on endurance exercise tests, jumping, and sport-specific actions. In addition to fighting fatigue, energy drinks boost cognition and exercise performance, but you should weigh the benefits against the potential risks. Pregnant women and fetuses are especially vulnerable to the adverse effects of energy drinks, as are children and adolescents due to their small size. Case reports have associated energy drinks with adverse health effects, most commonly related to the cardiovascular system. Caffeine content is probably the main culprit, but sugars also play a part, and so could other ingredients — or their combination. As with all things, energy drinks can do harm but their actually doing so depends on many factors, such as the amount being consumed and the health state of the consumer.